Anyone have any info on these bikes? 10 posts = pics, we gotta have em to help. @ Ajb68 there ya go. Welcome to the Forums especially C & V! Made by Jean Calmus of Montluçon, France. Google is your friend here. Mais oui. A google on 'bicyclette calmus' reveals a couple of nice examples. I have tried google but didn’t come up with much, i believe calmus was a shop in montlucon and sold frames made by baco with their name on, im hoping someone can confirm this. I think my bike looks original but has no frame material decal on although it does have some nice drilled drop outs, rgf bb shell and semi wrap over stays so i guess its worth holding onto. Last edited by Ajb68; 11-21-18 at 03:35 PM. As a rider, anything of decent condition, construction and materials is worth holding onto especially if it is interesting. But keep posting and then show us pictures. Hopefully it is something more distinctive! BTW, I just tried Google, and I also did not find much. The best reference is the link to this BF discussion! My search does not find much. What is found is all absolute top quality and all quite interesting. Hold onto this frame. Jean Calmus started his shop in Montluçon in 1975. Until 1983 his steel frames were bought from both Wolhauser (where Jean had been a long-time client) and Baco. All were branded "Calmus". From 1983 onward he built his own frames. Currently the shop is run by his son Alain. @cyclescalmus is his Twitter account. BTW, Alain seems to be a bit of a collector and enthusiast himself. Here he is ("cycleca"), identifying one of his dad's bikes. I'd try to approach him directly. So still no further forward, have tried to contact alain calmus but no reply as yet. Since I have no clue as to what "as found" consists of, I do not have an opinion on that matter yet. 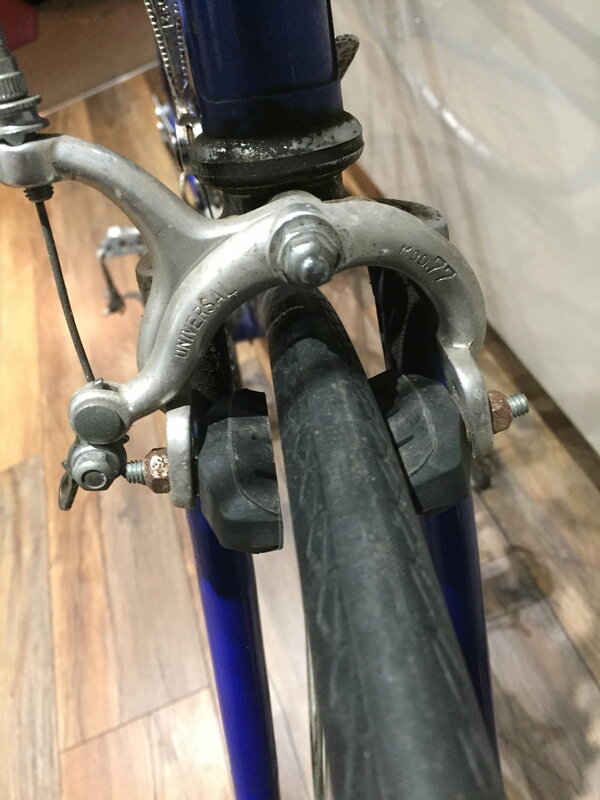 Pictures of the bike would help. 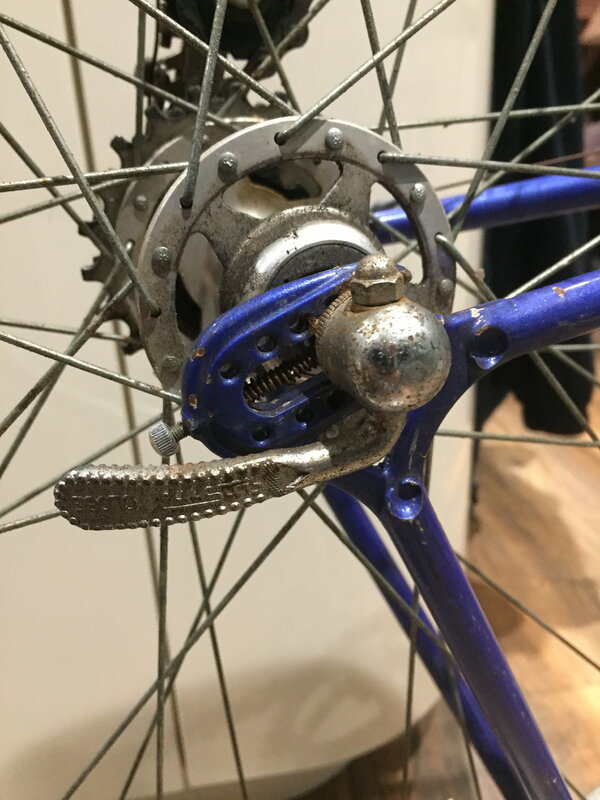 Original components are zeus grandsport gears, shimano 600 cranks and universal brakes. I take it baco are respected builders, how would i go about ageing it or finding out what tubing its made with? 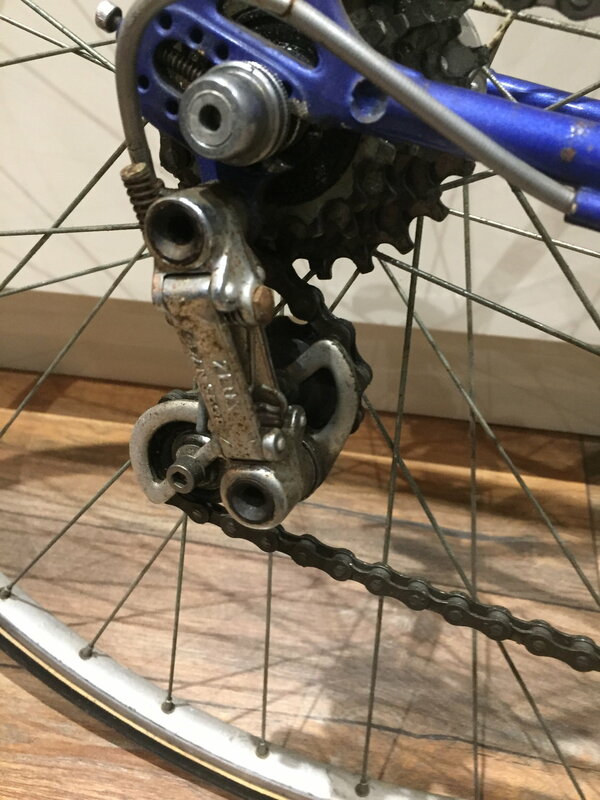 What about swapping the groupset for campy or leaving it as is? Very much so. 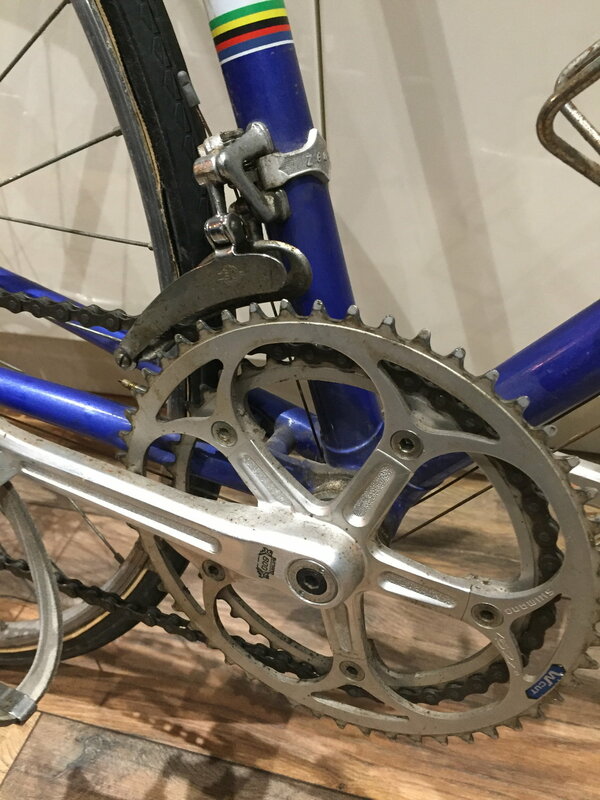 Batifoulier & Collas built 2,500 frames per year for the likes of Puch, Wolhauser and apparently Calmus. 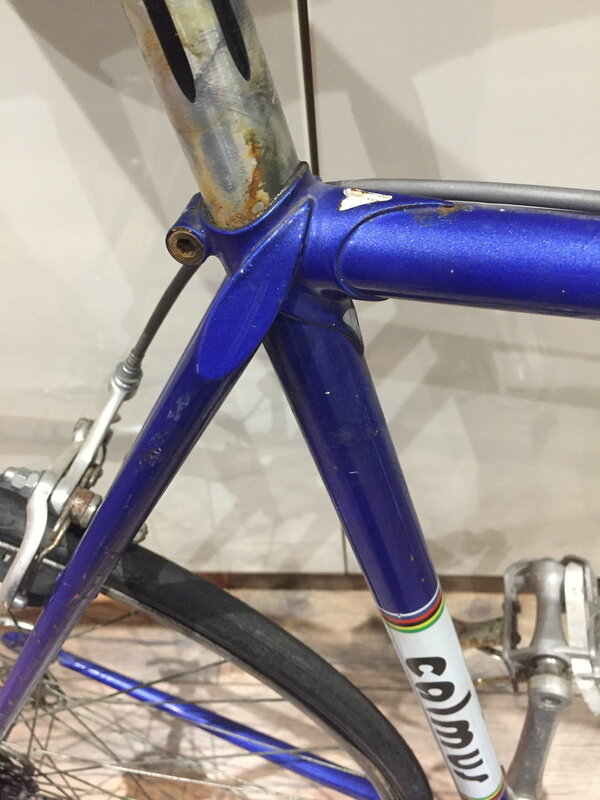 I would put the build date of your frame in the early eighties, because of the top tube cable guides and the shifter cable routing under the BB shell. 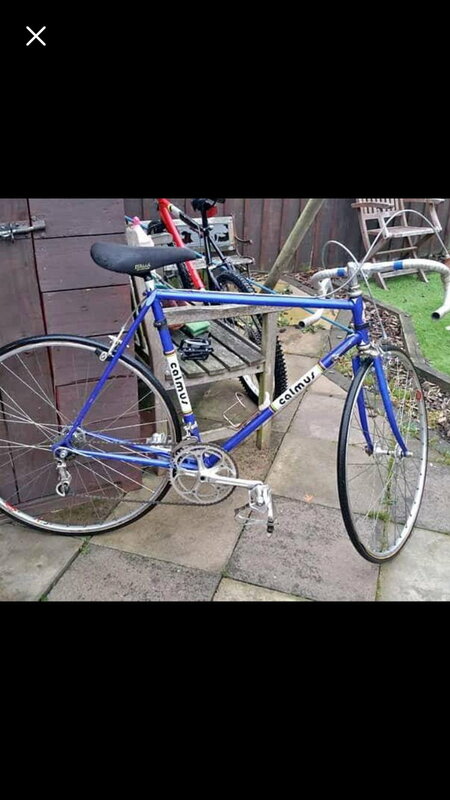 And if the above information on when Jean started building his own frames is correct, it won't be later than 1983. The 600 EX could be original to the bike, and in that case the Shimano date codes on the parts could yield some more insight. I’d first of all dismantle the bike making notes on all the key dimensions and threadings. Overhaul all that moves and de-rust all rust. Based on the overall quality, Campy Record (nuovo or super ) is fine. I don’t see much Shimano on there. The parts that are there seem quite respectable. There’s nothing I would dismiss out of hand.